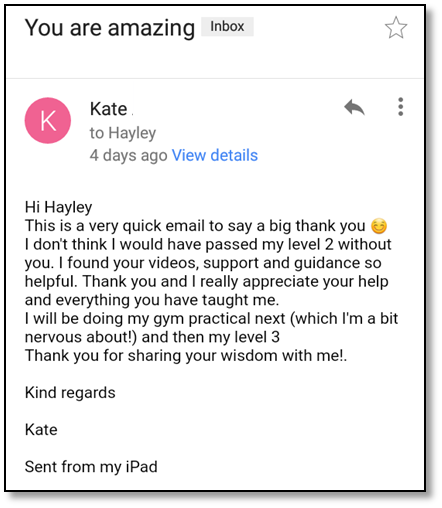 Maria contact me as she'd recently failed her Level 2 Anatomy and Physiology exam through another provider. I am 100% confident you can collapse this exam day stress and anxiety using the 5 tactics below. In fact the current 2500 active learners inside our L2 A&P Revision Mastery Bootcamp have and are using this to confidently pass their Level 2 Anatomy and Physiology exam with top marks. Complete the 88 Level 2 A&P Mock questions from day 1 [Download again below] to test your current knowledge and highlight specific areas you need to work on! 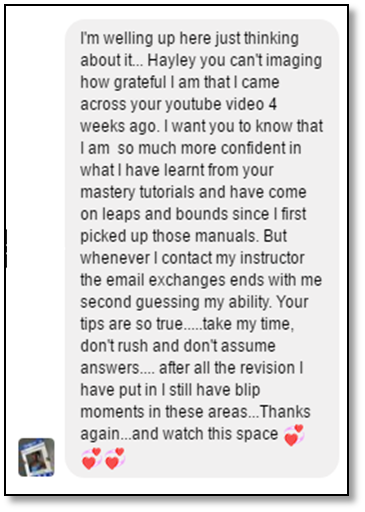 I've placed an EXCLUSIVE OFFER for you below to gain full access to the Level 2 A&P Revision Mastery Bootcamp. Win back exam day control by sticking to a routine that works for you... don't try anything new! What are the 8x L2 A&P Revision modules? Each video module is specifically mapped to your level 2 anatomy and physiology manual and the leading awarding bodies: Active IQ, YMCA and VTCT.